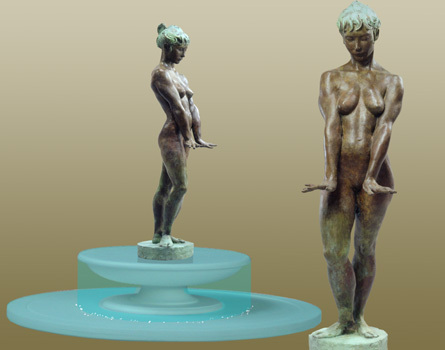 This very realistic figure makes an ideal fountain piece with water spurting up into the woman’s hands from below. The work marks a turning point in the sculptors career from subjects with the extended outward movement to the more internal tranquility as represented by this figure. She is putting her libido under control.